Small square tiles are great for dynamic map building games. 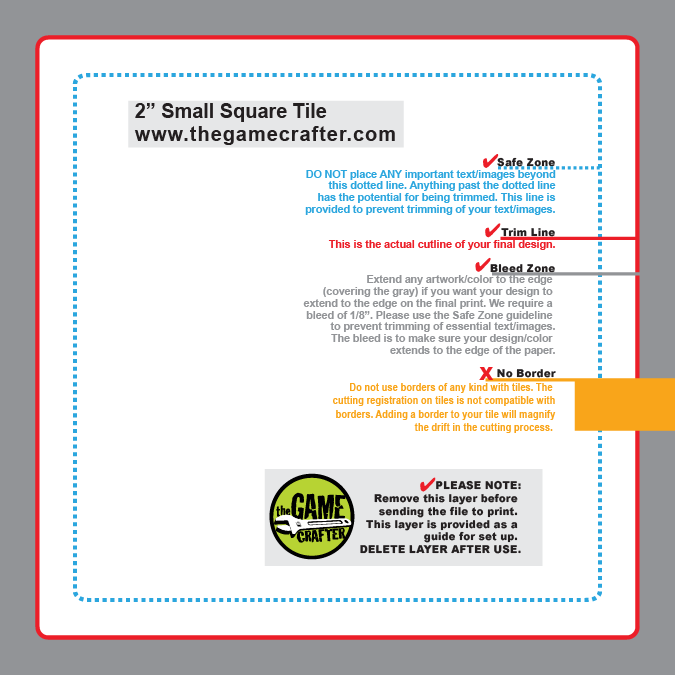 Medium punchouts are printed on both sides. They come on 4.5 by 8 inch slugs (4 slugs per sheet) that you must punch out. Cuts are cut by laser, and as a result you can mix and match items on a sheet by having a different item type on each slug.